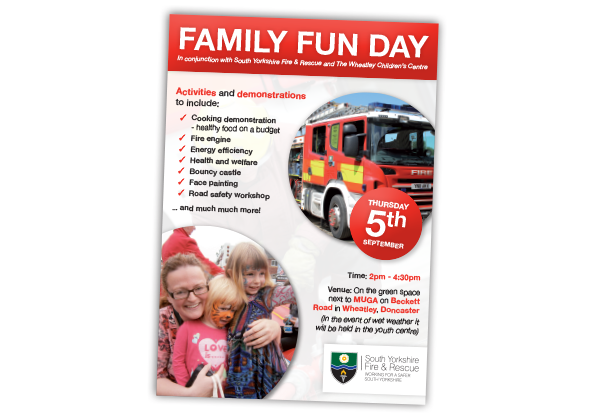 An A5 single sided leaflet and 265mm x 340mm full page advert for South Yorkshire Fire & Rescue to circulate information regarding a consultation being carried out for Mosborough and Birley Moor Fire Stations. 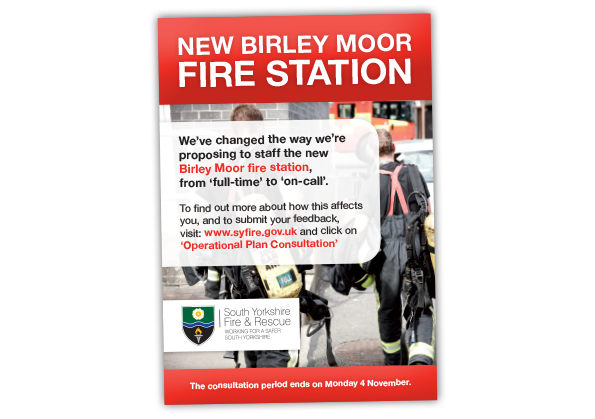 A set of two A5, single sided leaflets for South Yorkshire Fire & Rescue to advertise two public consultation events being held regardingproposed new fire stations in Birley Moor and Bowden Wood, Sheffield. 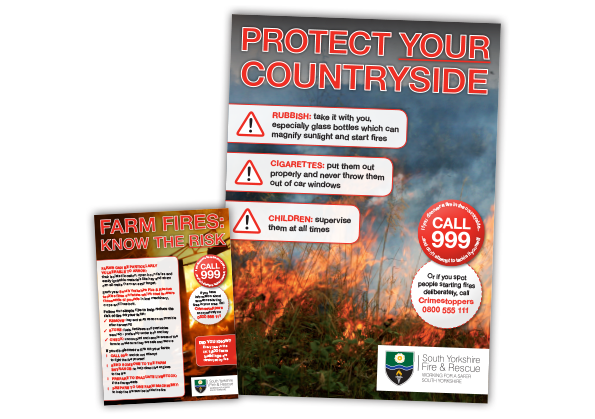 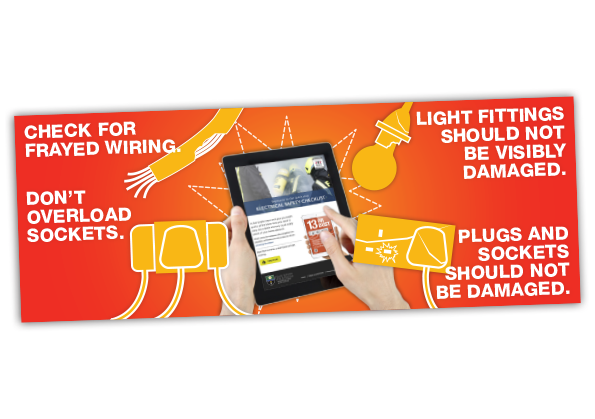 An A5 leaflet and A3 poster for South Yorkshire Fire & Rescue warning of the risk of countryside and farm fires during the summer months, to be distributed throughout rural areas. 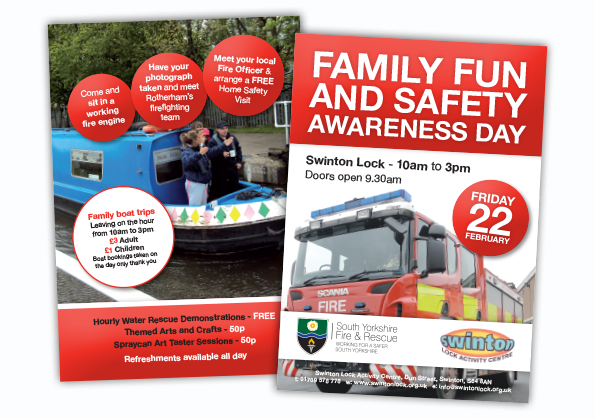 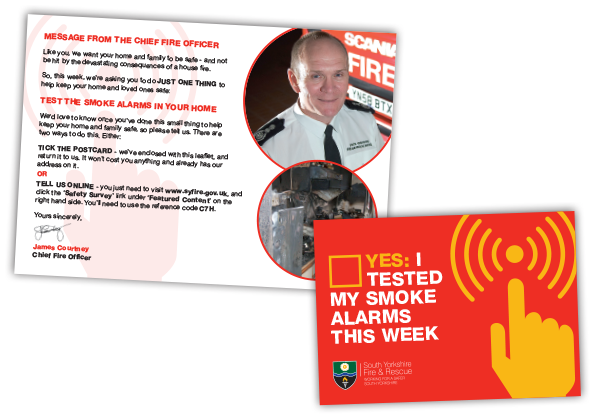 An A5 double sided leaflet for South Yorkshire Fire & Rescue to advertise their Safety Awareness Day at Swinton Lock Activity Centre.